Lamorna Lodge is a 9 bedroomed property located in a residential area of Carbis Bay, around 1 mile from St.Ives in Cornwall.We pride ourselves on our beautifully appointed accommodation and our personal service.Highly Commended by the AA,all rooms are en-suite with many enjoying the stunning ocean views. There are no rooms available at LAMORNA LODGE for these dates. Groups: Groups are accepted up to a maximum of 18 people. No stag and hen groups. Lovely location, very handy for the train.Very nice views. Loads of things to do and places to eat. Hello. Thank you for your review. Hope to see you again soon. Kind Regards. Joanne. 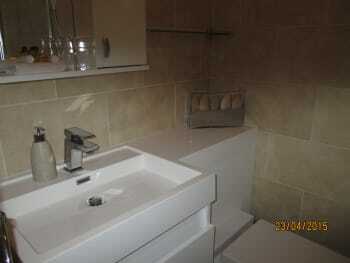 Great hosts, super location close to the beach. A very relaxed stay, felt at home! Hi. Thanks for the lovely comments. See you again soon. Joanne. A warm welcome from Joanne with complimentary tea/coffee/biscuits tray.This,our second visit,benefited from the addition of the well stocked honesty bar together with the lovely decked outside seating area with the beautiful views across the bay.Our room(No.9) very spacious,well furnished,huge comfortable bed/mattress/pillows.Breakfast room well stocked with cereals,fruit,juices,yoghurts followed by excellent cooked breakfast from Richard.Thank you both. The Gannet at the top of the road was good. Seafood Cafe in St.Ives not to be missed! Hello. Thanks so much for your kind words, greatly appreciated. See you again soon. All the best. Richard and Joanne. Great welcome, very helpful with tourist information. Plenty of sitting space to " chill out"! try and book restaurants!!!! They were all very full an difficult to get a table "on spec"
Welcoming,friendly and made you feel completely at home. Can't find fault at all. Avoid the car into St Ives if possible as parking is difficult. 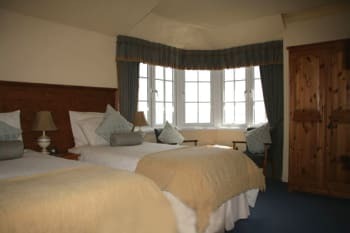 The bus service is good and prices reasonable and is only a very short walk from hotel ..
As always a great stay at the Lamorna Lodge! Lovely room, fab breakfast, perfect in every way! Hopefully we will be back next year. Hello. Many thanks to you both. See you then! Friendly with a touch of homeliness with fantastic breakfast,gets you ready for the day. Honesty bar is a great idea. Also availability of packed lunch is very helpful. Staying at Lamorna gives you an appetite to return. Recommend Becks traditional food and La Casita Spanish style food both close by Lamorna Lodge. Good access for Train and Bus service. Both local and further a field areas are easily accessible from the Lodge. 2 words: Better Impossible :)! Don't waste your time looking for anything else. This is by far the best choice! Hello. Thank you so much for taking the trouble to review us...it really helps. Many thanks. Richard. The room was ample for a long stay with everything you would need. Hosts excellent and very helpful when asked about locations etc. Breakfast was excellent with ample choice to cater for all appetites. Hotel very clean and tidy. Fantastic balcony area with wonderful view of Carbis Bay. Thought The Gannet Inn was a good place to eat. Good food at reasonable prices and only 5 minutes walk away. Places visited were St Ives as only 30 minute cliff top walk away, Tintagel Castle, St Michaels Mount, Truro, Lands End (great walk from Sennon Cove which has a fantastic surfing beach), Falmouth with St Mawes and Pendennis castles as well as museums and great places to eat and drink. Hello. Thank you very much for your lovely review, see you soon!! Absolutely fabulous! 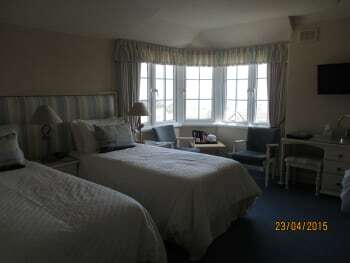 We had room 9 with the wrap around windows where we had views of the lovely sea and church on the hill. Breakfast was delicious and service prompt. Our hosts were so helpful, friendly and cheerful. The Lamorna Lodge is a real special place. We visited all over Cornwall. Our favorites were The Lost Gardens of Heligan and the Bedruthan Steps at low tide. Great place and lovely host. Excellent facilities and breakfast. Joanne and Richard make you feel very welcome and do all they can to ensure you are comfortable during your stay. Great choice of food for breakfast, beautifully cooked and served with a smile! We love the honesty bar, soft drinks and snacks available, especially the flavoured water. Enjoyed our stay here very much. Bedroom was lovely and so many little touches which made it even more special. Breakfast was wonderful couldn't fault in any way. Would certainly recommend to others. Hotel is close enough to St Ives to be able to walk there and yet in a quiet location away from the hustle and bustle of the town centre. Good location for sightseeing as not too far from anywhere. Seafood restaurant on Fore street has great fillet steak. Rosemergy along coast road between Zennor and Morvah do amazing cream teas. 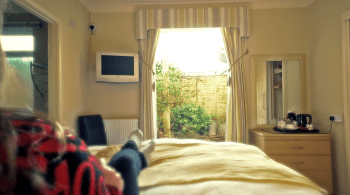 Really comfortable stay in a great location. Great place for touring Cornwall. Lovely views facing the sea. Joann is tops as a host, answering questions and providing assistance freely. 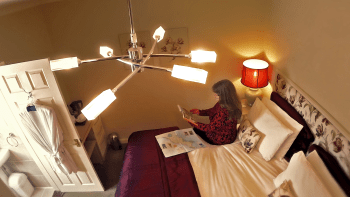 The rooms are spacious, clean, and comfortable. Breakfasts were made to order and delicious. Rooms 9 and 10 have great sea views. Very friendly and lovely views from room 9. Perfect for getting the bus into St. Ives or other places. Warm welcome and tea in the lounge on arrival. 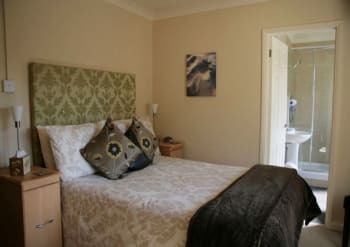 The room was fine with a lovely big shower in the en-suite.The choice at breakfast was very good, choice of muesli ,nuts,yogurt and lovely fresh strawberries,grapes etc.followed by a full English. Great start to the day ! 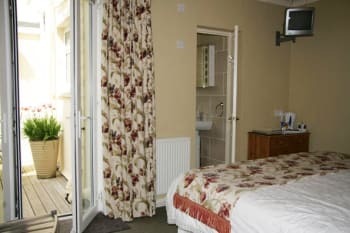 Hotel located with choice of trip into St.Ives by bus stop 100 yards up the hill, or 300 yards down to the station, with fare of only £1 each. We ate in a different restaurant every night,there are lots to choose from. Thank you so much for taking the time to review, it is very important to us and other prospective guests. We hope to see you again soon. Kind Regards. Joanne. Friendly welcome. Excellent choice and variety at breakfast. 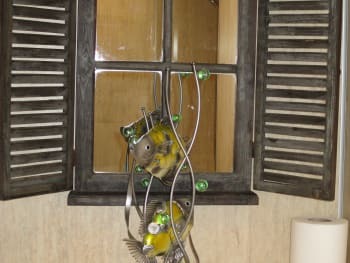 The wifi connection in the rooms is rather intermittent and unreliable. Overall a delightful place to stay. 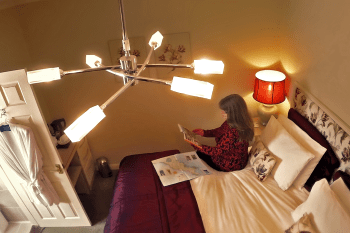 Very convenient for St Ives and the surrounding area. The Old Quay House near Hayle offers a good dinner menu. Trevaskis Farm Shop and restaurant near Connor Downs is great for local produce and good lunches. Hello. Thank you for your review. Our wi-fi signal can be a little unreliable at times,particularly in certain parts of the building. We are sorry if this caused an issue. We hope to see you again in the near future. Kind regards. Richard. Great location to visit. There are some severe gradients in the area! Local restaurants are busy in the evenings booking required to assure a table. However if you travel out of Carbis Bay area in land there are a number of good local pubs to dine in. Beach is fantastic. Hello. Thank you so much for your review. All the best. Joanne. Very friendly and relaxed atmosphere. Breakfast great with plenty of choice. Try the Firehouse restaurant in St Ives, we had an excellent meal. Lovely of you to review us. Many thanks. Thank you for the review, we agree with the Cornish Arms. Excellent! Very warm welcome. 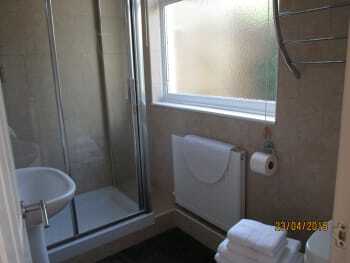 Very clean room with spacious en suite. Great views from communal areas. Breakfast was exceptional. The fresh fruit was a great addition. Hi. Thank you for your review. The strawberries proved a big hit this year.Kindest Regards. Joanne. Ample parking. Near to bus stop and rail station. Helpful and pleasant owners. Will probably stay there again when visiting the area. Thank you for your review. We look forward to seeing you again soon. Kind Regards. Joanne. Breakfast and stay was lovely. Only downside was that the wifi did not seem to work in the rooms. Hello. We are glad you enjoyed your stay. The wi-fi will be getting some attention over the closed period!! Many thanks. Richard. A really lovely accommodation. Made to feel very welcome. A more personal service than you get at most hotels. Nothing too much trouble. Intend to return again and would certainly recommend. St Ives very accessible either on foot by coastal path or by rail. Hello. We are so pleased you enjoyed your stay. We look forward to seeing you again soon. Kind Regards Richard. Thank you for taking the time to review. Many thanks. Richard. Very friendly and fab breakfast. Nothing was too much trouble. I particularly liked the wetsuit clean and dry over night service. The Beach Club down at the Carbis bay Hotel was lovely if a little over priced. Food was good, staff friendly and they had live music who was very entertaining. Hello. Thank you for your review and no problems with the wetsuit- all the fun and none of the messy clean up!! Lovely stay. Would highly recommend. Thank you so much. All the best. Our room no 4, was fab with patio doors and table and chairs outside. The breakfast was always cooked to order and a lot of choice on offer. Joanne is very knowledgeable about the local area. We would definitely stay there again. The walk to St Ives takes about 25 mins but there are regular buses to and from. There is a local train too, both are within minutes of the Lodge. We really enjoyed the food at the 'Sea Food Cafe' which served meat too. We didn't do much other than enjoy lovely walks and being on the beach but there is a lot to do. Hello. Thank you so much for your review. Hopefully we will see you again soon. Kind Regards. Joanne. Everything was perfect. 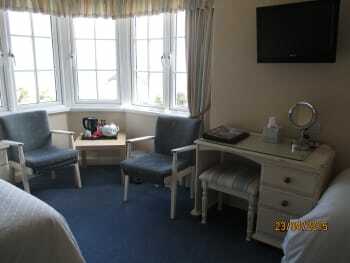 Wie had an exzellent stay at Lamorna Lodge. Wie will come back!!! Hello. Many thanks for your kind words. Hello. Thank you for your review. All the best and hope to see you again soon. Kind Regards. Richard. My Husband and I stayed at Lamorna 23/7/2015-26/7/2015. 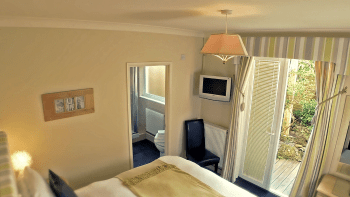 The location is within easy reach of St Ives Town and Carbis Bay beach.There are buses and a train station nearby to St Ives Town. There is a steep hill going down to the beach so not suitable if you have mobility problems.The en-suite room was clean and very pleasant with a very comfortable bed. There was a good variety to eat for breakfast. 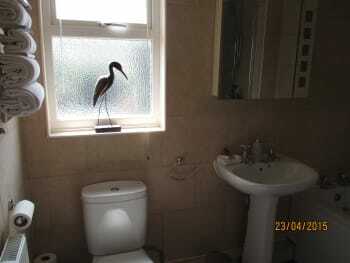 The interior and exterior of the property was well maintained. Joanne was very pleasant and friendly and made our stay enjoyable. We stayed in room 10 which had a lovely view of the sea. Tescos supermarket is nearby and there is a local chemist. Restaurants are within walking distance. Places to see: Eden Project, St Ives Harbour,Penzance, Lands End. Hello. Many thanks for your review. We hope to see you again soon. Kind Regards Joanne. Lovely place to stay, clean and well maintained. Friendly hosts giving a warm welcome, nothing to much trouble. Great walk into St Ives, handy for train if you don't fancy a walk. Try Hobblers restaurant in St Ives, but booking advisable. 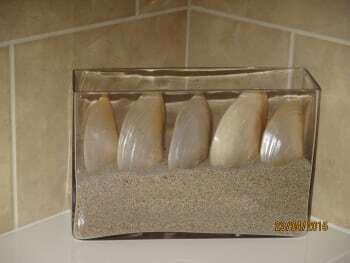 Take a packed lunch from hotel if going to Carbis beach. Hi. Many thanks for taking the time to write your review. All the best. Joanne. We liked Becks in particular. Hello. Defer the kiss till next time!! All the best. Joanne. Many thanks for your review. Take care Joanne. We had a wonderful stay. We were made to feel extremely welcome and only wish we could have stayed longer. Hello. Many thanks for your review and we'll see you again soon. All the best. Richard. 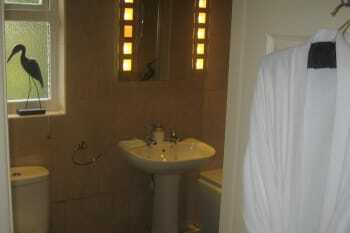 We had a wonderful time, top class accommodation and facilities. Compliments to the Chef, the breakfast was first class. The coastal path into St Ives from Carbis Bay was a lovely walk, the view, wild flowers and woodland amazing. We very much enjoyed our fish and chips at Becks which was about 12 min walk from Lamorna Lodge. We did have to wait for a table as it is so popular but worth the wait. We cycled the Camel trail which was also really enjoyable and got to see so much more than travelling around in a car. For anyone wanting to do do a walk, the lizard coastal walk was challenging but very pretty. Hello. So glad you had a lovely holiday. Hope to see you again soon. Kind Regards. Richard. 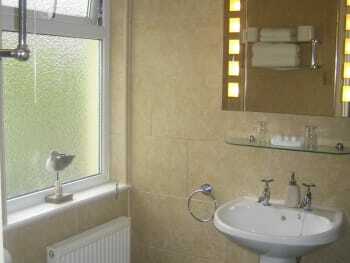 Good location near bus stop and walkable to St Ives.Excellent breakfast and service. Noisy guests on first night dealt with amicably by manager and apology from guests so all was well. Very central for St Ives, near Penzance for the many galleries and gardens. Of particular note is Tremenhere Sculpture garden - excellent experience and a very good lunch. Everything you could possibly want. 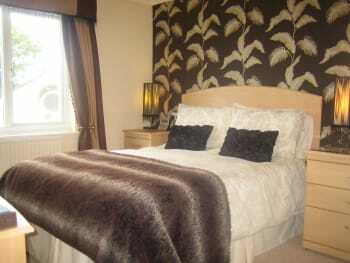 Gorgeous location, great views, comfy beds and hosts you can also feel really comfy with. The ideal venue for a relaxing break. Look no further! Lovely place, great vue, very nice breakfast and very very kind host. 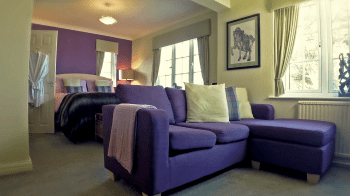 We highly recommend Lamorna Lodge. Fabulous surroundings and the best English breakfast of our whole stay in the UK. excellent! everything has been thought of and very friendly welcoming atmosphere as always. we loved becks fish & chip restaurant which is so much more than it seems from outside- fab menu. captains table at the sloop inn in st ives is also excellent. good pub food at the cornish arms in carbis bay too. Thank you for taking the time to review your stay. Lovely to meet you again and hope to see you soon. Joanne. 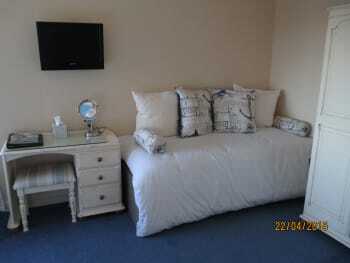 A beautiful B and B, with excellent personal service and lovely clean rooms. Breakfast was delicious with an excellent selection available, both hot and cold selection was fresh and well presented. A short walk to Carbis Bay but a decent distance from St Ives- close to a Tescos for any little things you forgot! With no cerfew on the door I felt completely at ease returning from a wedding at any time with no pressure to be back for a certain time. Would highly recommend! 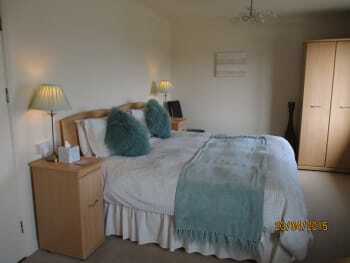 Comfortable stay, wonderful accommodating host, beautiful views of Carbis Bay, and a great location in Cornwall. For the rainy days or a break from the beach, Lamorna Lodge is a 5 minute drive to Paradise Park - a great nearby attraction for a rainy day with kids. We took our toddler and had a great time seeing all their birds, farm animals, otters, penguins, and huge indoor soft play center. Hello. Thank you for your review and we hope to see you again soon. Kind Regards. Joanne. Great welcome and helpful attitude. Many thanks . Fresh fruit at breakfast was very good. Book evening meals as choice in walking distance is very limited but meals at Casa Romana (?) good value and would recommend. Thank you for your comments and we hope to welcome you here again soon.Regards, Richard. Great place to stay. 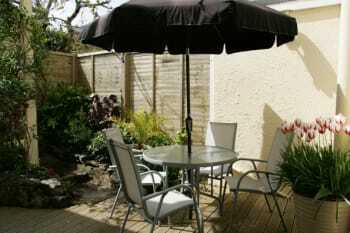 We loved the seclusion Carbis Bay offers. The Bean Inn was delicious, even for meat eaters. Hello. Thank you for your review and we are always pleased to know that Carbis Bay holds it's own against St.Ives. Many thanks again. Joanne. use the train from Carbis Bay in/out to St Ives although taxi later does't cost much more. 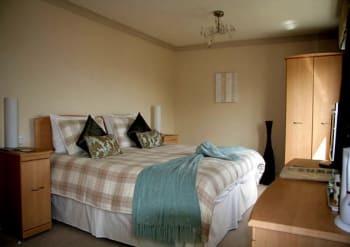 Great views, good food, lovely bedrooms, comfortable lounge and patio/terrace excellent for a delicious cream tea. Nothing was too much trouble - very well looked after - that's why my family have stayed at Lamorna Lodge every year for 10 years. Single room gets very warm in the summer. very friendly and helpfull,such hard working people who looked after every detail. good fish and chip shop called becks a little further up the main road, opposite direction to st. ives. also large Tesco store towards st ives.lovely outdoor theatre called the minack with spectacular sea views.this is not far from lands end. We were welcomed with a pot of tea and a friendly chat on arrival and from that moment on we felt we could relax. Our hostess managed to be friendly without being intrusive. 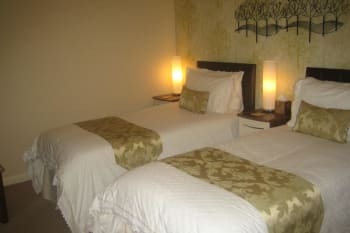 The guesthouse was clean and comfortable and had lots of little extra touches to make you feel special. The guesthouse is within easy walk of the rail station and bus stop, with regular departures into the centre of St Ives. The beach at Carbis Bay is as good as any we have seen abroad. We particularly enjoyed eating at 'The Bean Inn,' a local vegetarian restaurant. We are not vegetarians but the food was delicious! Our trip to watch 'Tosca' at the Minnack open air theatre, with Oates Travel, was wonderful. levels of customer service and detail are outstanding. If we head back to cornwall we will defiantly stay again. Thanks again. We were welcomed on arrival with tray of tea and biscuits which was a lovely personal touch. Nothing too much trouble and we felt very relaxed and comfortable throughout our stay. We will certainly be back and if we lived nearer, we would be back sooner. Casa Romano is just a five minute walk on main road - good pasta! Sea Food Café in St Ives we enjoyed, traditional fish and chips and many excellent fish dishes. The walk into St Ives is all downhill with stunning views, although we caught the bus back! Warm, friendly and welcoming hosts. Lovely walks around the 'Island' St. Ives with beautiful coastal views. Eat at Casa Romano's and Beck's restaurant or have a light meal nicely prepared by the hosts of the Lamorna Lodge. 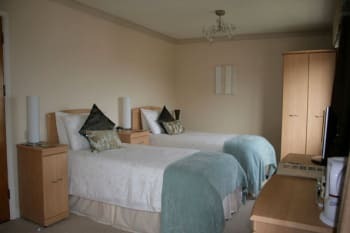 First stay here and cant wait to come back lovely room with stunning views and very warm welcome nothing too much trouble. One of the loveliest places we have stayed in and breakfasts were delicious. The train ride along the coast beach cafe at porthminster are both fabulous. Walk to lelant is luvly very pretty church there. Captains table restaurant at the sloop overlooking the harbour. The welcome we got was great, especially considering I had forgotten to say I was bringing my sister so the bed needed changing from double to twins. Sorry! 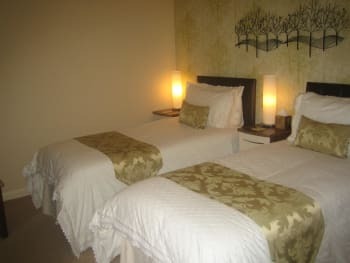 The room and beds were very comfy, facilities provided very thoughtful. Excellent breakfasts, nothing to criticise. A most enjoyable stay. We enjoyed meals at the Porthgwidden cafe in St Ives, Watermill at Lelant, the Cornish Arms in Carbis Bay and the Tinners Arms in Zennor. We do NOT rate the Badger in Lelant!! We enjoyed a walk along the cliffs from Lamorna to Mousehole, a good path, easy to follow and not too taxing, and Mousehole was lovely. The overall stay was perfect in every way. The location close to the beach and the train station is great. The view pulling back the curtains and seeing the beach and see from the bedroom says it all. 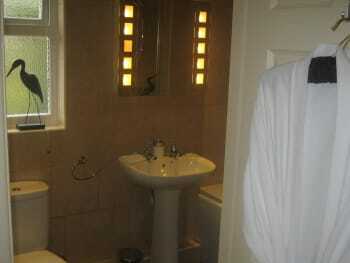 The room was to a high standard and very clean. The service provided was as good as it gets. The breakfast was really nice and good choice. Joanne always took the time to talk to you and ask you about your day. Overall brilliant and will come back every year. I think the location is good to see and do. We went to the loft in st ives for dinner which was really good and would highly recommend.The train service to really good to use rather than park in st ives.In the summer it is too busy and the train is not much difference in price from parking.We went to the curry garden saturday night and again would recommend and you can take your own drink bonus!! Lands end was good to see but expensive for an hour to spend there. £5.00 but you can use it for a week but cannot you would go back after you have been once so soon. If we did not have to get back so early on the sunday we would have gone to porthcurno beach for the day. really nicely hidden away and amazing views. Carbis bay beach is really nice as well and not as busy as Porthminster beach. 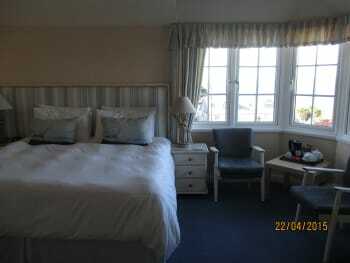 We had a fantastic stay at the Lamorna Lodge. Our room was lovely and had a great view overlooking the sea. Breakfast was cooked to perfection. The hotel was spotlessly clean and our hosts made us feel very welcome indeed. We would certainly recommend the lovely snacks on offer at the Lamorna Lodge, they were delicious! We also found the La Casita and Becks fish and chip restaurant great places to eat and only a short stroll away. The hardworking and extremely friendly owners, Richard and Joanne, do all possible to make your stay enjoyable and comfortable. Lamorna Lodge is spotlessly clean and the food is delicious, with plenty of choices or breakfast. 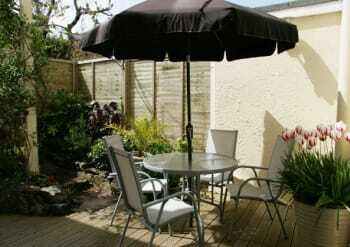 Great location, just minutes from the train station and bus stops, or it's about a half hour walk into to St Ives. This was our 2nd visit, as we enjoyed our time there so much last year. 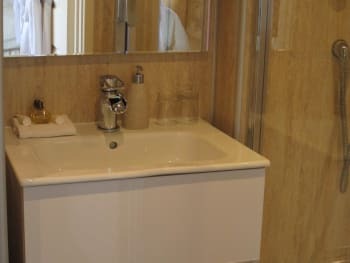 We would highly recommend Lamorna Lodge as an ideal place to stay. 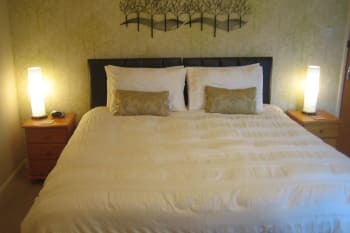 From initial welcome with tea / coffee & biscuits, to the farewell, this hotel oozed quality: cleanliness, friendliness, lovely breakfasts with wide choices, nice room with a very comfortable bed, immaculate bathroom with an excellent shower, private car park. Cannot be faulted in any way! 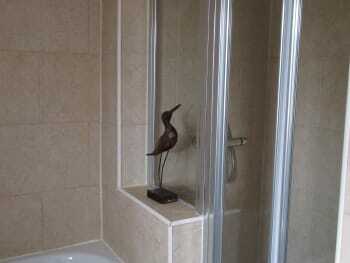 - a very smart operation indeed, with the customer honestly put right at the focus of everything provided. Although one and a half miles out of the centre of St. Ives, the Carbis Bay railway station is just 7 minutes down the road, with an hourly service into the town. The beautiful Carbis beach is reached in an additional five minutes. Several restaurants within easy walking distance. Excellent. Warm welcome. Quiet. Very clean. Good choice english breakfast. Beautiful sea view from our room no 10 and friends in 9. Tragenna castle surprisingly had good reasonably priced food. We really enjoyed our 5 day stay in spite of the weather. 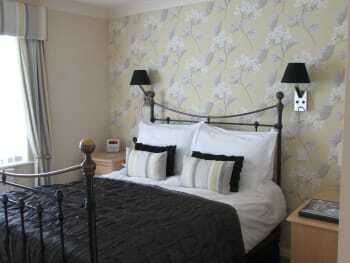 Very comfortable accommodation, superb breakfast and a very welcoming and friendly reception on arrival. Thank you all very much. Enjoyed Becks for fish and chips and the Italian restaurant in the bay was very good. beautiful location and view from room. easily accessible. train station 5 mins away. lovely place to stay for our little family. our daughter loved all the attention she was getting. two really good restaurants within a few minutes walk. family friendly. the beach within walking distance or a few more just a train stop away. beautiful coastal walks. Great location, every where was immaculate. Lovely sea views, great breakfast and very friendly hosts. 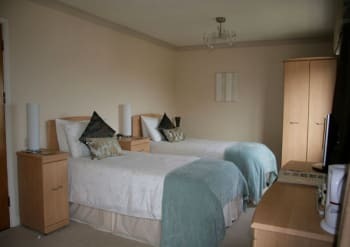 The rooms were lovely, very comfortable, great beds, plenty of hot water and liked the fact that there was an area to sit in the lounge which again was very comfortable. Really appreciated the freshly baked scones for the cream tea, it is the best one we've had in Cornwall! And not forgetting breakfast, there was plenty of choice and all tasted great. 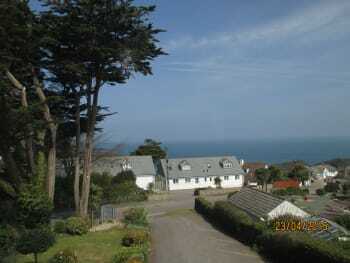 Great location only 10-15 min walk into St Ives.bus route at top of road and train station at the bottom. Beautiful view from bedroom dining room and lounge. Very friendly atmosphere and breakfasts fab. Would definitely stay here again and recommend to others. Locally within walking distance is Becks fish and chips eatin and takeaway, the best we have tasted. 5 min drive is the Badger Inn at Lelant, lovely food and friendly staff. Large portions and well worth the price of the meal. We had a lovely time at the Lamorna Lodge. The breakfasts were beautifully cooked and there was a huge range to choose from. 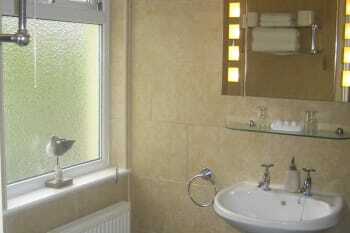 The room and bathroom was VERY clean and well presented and the staff were most welcoming, friendly and helpful. 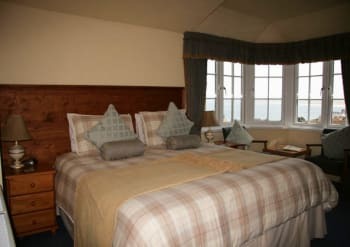 We would stay at the Lamorna again and would certainly recommend it to our family and friends. The Rajpoot in St Ives is an excellent Indian restaurant, wide choice of meals, friendly staff,contemporary decor and reasonably priced. The Quey House in Hayle is pleasant with a fairly good range of meals. A warm welcome from a hostess for whom nothing seems too much trouble. 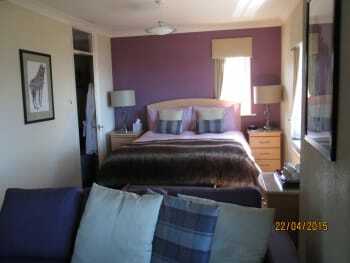 Beautifully presented house with spacious, well appointed rooms. 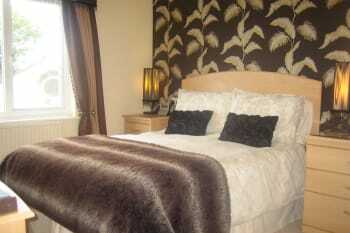 Exceptionally comfortable beds and just about everyting you could want easily to hand. Breakfast is a real treat with a number of options available to suit most tastes. If you want something a little different then the smoked haddock with poached egg on a toasted muffin provides a wonderful alternative to the Traditional Full English. We had a lovely two nights at Lamorna Lodge and will certainly return. New Years Eve in St. Ives is a real experience and one which everyone should try at least once, just make sure you have fancy dress! Recommended eats - "The Captains Table" at the Sloop Inn and the "Pend Olva" hotel, both in St.Ives near the harbour. we would recommend you to others - but that minimizes our chances of getting a stay next summer ;-) beautiful situated in a beautiful area Lamorna Lodge is worth coming back - not to mention the warm and gentle atmospheare..
We spent 3 nights at the Lamorna Lodge and can thoroughly recommend it. Host Joanne was absolutely brilliant, so friendly and accommodating, nothing too much trouble. 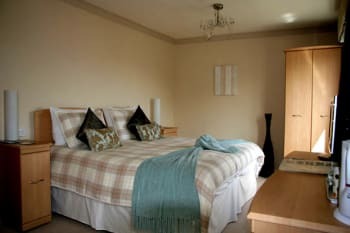 Ultra comfortable bed, stunning views from bedroom, lounge and dining room, extensive and beautifully cooked and presented breakfast. What more could you want??? Walk along coastal path towards Lelant passing Porthkidney beach at the mouth of the Hayle estuary is just stunning, get the train back - wonderful way to spend a morning. Great service, warm welcome and comfortable bed with a fantastic breakfast. Lamorna Lodge was the bright spot in our short, rainy and dreary weather, trip to Cornwall. If we ever return, we would definitely stay with you again. Do not attempt to drive into St. Ives and do not use your GPS if you do. It is not worth the trouble and is reality, is convenient. The streets are exceedingly narrow, often one-way, thus making driving impossible. Definitely go to the Tate-only about a 2 hour commitment. Staff were very welcoming, very clean, great food well presented, Yorkshire hospitality in Cornwall, really enjoyed our visit. Very welcoming and friendly atmosphere Wish we could have stayed longer!!! Excellent place for our short break and would have liked to stay longer.Rooms, food and people were first class.Views are great and we would recommend to anyone for a relaxing holiday.Carbis Bay beach is better than abroad!